I am most grateful to Brian Lee Crowley, David Watson, and the Macdonald-Laurier Institute for having published my short article on electoral reform online under the title, “Time Has Already Run Out on Electoral Reform“; I’m more thankful still that it will also appear in print form in the Macdonald-Laurier Institute’s Inside Policy later this month. I’d also like to thank Emmett Macfarlane, Professor of Political Science at the University of Waterloo, for having reviewed an early draft of it. While the Speech from the Throne adopted the language typically associated with proponents of a proportional system (“make every vote count”), it is extremely unlikely that the next scheduled federal general election in 2019 will be conducted under either mixed-member proportional representation (MMP) or the single transferable vote (STV) – irrespective of whatever the upcoming special parliamentary committee on electoral reform reports by 1 December 2016. For reasons set out below, Parliament almost certainly could not adopt MMP, with its dual ballot of electing members to geographic constituencies and electing members from the political parties’ lists for the compensatory seats, nor STV, with its multi-member districts and preferential ballots, in time for 2019. However, parliament could feasibly adopt a majoritarian electoral system like Australian-style instant run-off balloting, sometimes called a ranked ballot or alternative vote (AV), for 2019. This is because switching to AV would require only statutory amendments, such as to the Canada Elections Act, and would not require changing the boundaries of any electoral district. In contrast, switching to either MMP or STV would certainly require both a constitutional amendment of some kind and changing the boundaries of all 338 electoral districts. The only question remains whether the constitutional amendment would fall under the ambit of the amending formula under section 44 of the Constitution Act, 1982, which the Parliament of Canada alone can pass like a regular statute, or, more ominously, whether it would be subject to the dreaded General Amending Formula and all the implications that flow from “opening the Constitution” – as we tend to say in Canada, with the obvious, if unconscious, allusion to “opening Pandora’s Box” and raising the spectre of the failed Meech Lake and Charlottetown Accords. In short, electoral reform most certainly is a constitutional matter, contrary to Jean-Pierre Kingley’s bizarre assertion to the contrary. Mixed-member proportional representation (MMP) normally combines single-member plurality (though it could theoretically use instant run-off balloting instead) with pure party-list proportional representation; voters therefore cast two ballots, one for their constituency member of parliament and another for the political party itself. Under this system, a mathematical formula like the Droop Quota ensures an overall proportional outcome by allocating compensatory seats to the political parties that won fewer constituency seats than their share of the popular vote would merit them. In this way, the overall percentage of seats that the political parties hold in the assembly comes much closer to the percentage of the party vote that they each won in the election. Generally, this system benefits smaller parties, which would explain why the New Democratic Party and the Green Party have long advocated for it. Despite their claims to the contrary, they are motivated by self-interest just as much as the Liberals and the Conservatives are. The single transferable vote (STV) relies on multi-member constituencies and allows voters to rank their preferred candidates in numerical order; a candidate must surpass a threshold number of votes in order to get elected. As with the compensatory seats in MMP, this threshold is determined by a formula, such as the Droop Quota, and is therefore proportional. But unlike under MMP, STV ensures that all MPs represent geographic constituencies and not the political parties themselves. Applying the Droop Quota to STV means that the votes that a candidate needs to obtain in order to win a seat is determined by dividing the total number of valid votes cast by one more than the number of candidates to be elected, and adding one to the result. Votes needed to win = ((valid votes cast/(seats to fill +1))+1. For candidates who surpass a given threshold, their surplus votes are redistributed according to the voters’ ranked preferences. If some seats still remain to be filled after this first redistribution because none of the other candidates meets the quota, then the least successful candidate is eliminated from contention, and his or her votes are redistributed according to the voters’ ranked preferences. This process continues until all the seats in the multi-member constituency have been filled. Section 51(1) of the Constitution Act, 1867 contains the formula by which seats in the House of Commons are allocated amongst the provinces after each decennial census. Parliament last amended this formula in 2011 by way of the constitutional amending procedure under section 44 of the Constitution Act, 1982; this amendment also expanded the House of Commons from 308 to 338 seats. Section 51(1) also mandates that the seats in the House of Commons be redistributed after each decennial census; this process normally takes two years, and the next decennial census will not take place until 2021. As this chart from Elections Canada shows, the current population formula is based on an “electoral quotient” of assigning approximately 111,000 persons to each constituency. This electoral quotient forms the baseline number of seats that each province receives, before the application of the other rules, which involve adding additional seats based on the Senate Floor Rule, the Grandfather Clause, and the Representation Rule. After this amendment to the formula in section 51(1) became law on 11 December 2011, the Harper Government also had to issue an Order-in-Council pursuant to the Electoral Boundaries Readjustment Act in order to establish the boundary commissions in each of the ten provinces, which in turn re-defined the borders of the country’s electoral districts. This was necessary because the House of Commons has also expanded from 308 to 338 seats, and those new 30 seats needed to be taken into account. The general election of 2015 was the first conducted under this new formula; if proponents of proportional representation had their way, it would also be the last. As this other helpful chart from Elections Canada shows, this entire process of re-drawing the borders of Canada’s electoral districts takes almost two years – and it could take even longer after adopting an entirely different electoral system. Furthermore, the boundary commissions can only begin their work after parliament passes the constitutional amendment to section 51(1) — and that legislative process itself can take up to one year. These practical constraints of the legislative process itself and the electoral boundary commissions show why we could almost certainly not switch to MMP or STV in time for the next scheduled general election of 2019. In total, the process — from tabling the electoral reform bill in the House of Commons to the Governor General giving the bill royal assent and making it law; to the electoral boundary commissions undertaking their consultations and establishing the new borders of electoral districts — takes at least three years. By definition, STV and MMP would require larger constituencies than the current electoral system: under STV, because each constituency would have multiple members representing it; under MMP, because fewer MPs would represent geographic electoral districts. Larger geographic electoral districts contain a larger number of people — and only an amendment to the population formula in section 51(1) could accommodate these changes. Both MMP and STV would therefore run afoul of the current population formula contained section 51(1) of the Constitution Act, 1867, and could therefore only be implemented by amending the rules under this section. This is because the formula under section 51(1) presumes that each electoral district contains a baseline of around 111,000 persons, plus or minus the percentage variance allowed by the Electoral Boundaries Readjustment Act, and taking into account the current formula’s exemptions and exceptions. While the current rules under section 51(1) are designed to accommodate increases in Canada’s population determined after each decennial census, these existing rules simply could not accommodate the significantly larger population per electoral district that switching to MMP or STV would necessitate. Under MMP (particularly the model proposed by the Ontario Citizens’ Assembly in 2007), each province would retain the same number of seats in the House of Commons that it has now, but only some of those seats would remain as geographic constituencies, while some of them would become party seats divorced from geographic constituencies. For instance, Ontario could still return 121 MPs to Ottawa, but only, say, 80 MPs would represent geographic constituencies, while the other 41 would represent political parties themselves. (The ratio between geographic electoral districts and party list seats could vary, but the principle would remain the same). Logically, therefore, those 80 remaining geographic electoral districts would be larger in size (because they would still have to cover the whole province), and would therefore also necessarily contain a far larger population than the current electoral quotient of around 111,000 persons per riding. Even if parliament opted for a novel model of MMP where each provinces retains the same number of geographic electoral districts that it has now and merely adds on the party list seats, such a system would have to conform to the Constitution Acts and acknowledge the practical consequences. First, parliament would have to make sure that the ratio of seats between provinces remains intact so that this model of MMP conforms to the principle of proportionate representation contained in section 52 of the Constitution Act, 1867. If it tried to disturb this principle, then this alternate model of MMP could only be implemented via a constitutional amendment passed under the General Amending Formula. Second, parliament would have to switch the House of Commons from desks to benches in order to accommodate the influx of at least 100 new party-list MPs. Third and finally, even if someone tried to introduce this bizarre and unconventional model of MMP, parliament would still have to amend section 51(1) of the Constitution Act, 1867 in order to take into account the existence of seats in the House of Commons that are based on party lists and not geographic constituencies, which the current section 51(1) does not contemplate. This outlandish and farcical model of MMP could, strictly speaking, obviate the need to redraw all the riding boundaries for 2019, but it would still force an extensive renovation of the House of Commons itself and switch all or some of the desks to British-style benches just to squeeze in over 100 new party-list MPs into the chamber. As far as I can ascertain from the various pro-MMP advocacy groups in Canada, none has ever proposed a model along these lines. (Please do correct me in the comments if I’m wrong). Since switching to STV or MMP would require adopting larger constituencies containing a larger number of persons, the government would also therefore have to issue an Order-in-Council to call up the electoral boundary commissions in all ten provinces so that they could then re-establish the borders of all 338 electoral districts. (The new MMP or STV system could still include a House of Commons consisting of 338 seats, but there would no longer be 338 geographic electoral districts). The Decennial Census Clause stipulates that the electoral boundary commissions must re-convene anyway after each Decennial Census; the next will occur in 2021. (The censuses held in 2006, 2016, etc., do not count as the constitutionally mandated Decennial Census). This means that even if the Trudeau government tried to strike up electoral boundary commissions in 2017 or 2018 after parliament passed the constitutional amendment to alter the population formula in section 51(1), the government would have to strike up another round of electoral boundary commissions again anyway after the Decennial Census of 2021. Establishing two sets of electoral boundary commissions within a period of four years would waste vast sums of money and amount to an unnecessary, impractical extravagance. Switching electoral systems on such short notice would also put an intolerable burden on Elections Canada, which has to train poll clerks and prepare the ballots months in advance of each general election. For example, Elections Canada implemented its “Election Readiness” for the general election scheduled for October 2015 as of March 2015. If law-makers are not careful, a system of MMP or STV could contravene section 52 of the Constitution Act, 1867 — which only an constitutional amendment promulgated under the General Amending Formula could alter. Essentially, any new electoral system would have to preserve the ratio of seats between the provinces. Section 52 of the Constitution Act, 1867 stipulates that the seats within the House of Commons must be distributed such that the “proportionate representation of the provinces” is “not thereby disturbed.” The Parliament of Canada alone can amend section 51(1) pursuant to the constitutional amending formula in section 44 of the Constitution Act, 1982. However, section 42(1)(a) of the Constitution Act, 1982 subjects this “principle of the proportionate representation of the provinces” to the higher threshold of the General Amending Formula. Based on the Confederation Debates, it is clear that in the 1860s, the phrase “proportionate Representation” meant “representation by population,” in other words, that each province would enjoy representation in the House of Commons proportional to its population. The Fathers of Confederation thus replaced the illiberal sectional equality of seats between Canada West (Ontario) and Canada East (Quebec) in the United Province of Canada, with representation by population. The phrase used in the Constitution Acts most certainly does not correspond to the modern usage of “proportional representation” and proportional electoral systems. As long as the compensatory party list seats under MMP or the multi-member constituencies of STV remained within only one province, these proportional systems would not “disturb” that all-important “principle of the proportionate representation of the provinces,” which means that Parliament alone could implement either electoral system through a constitutional amendment to section 51(1) of the Constitution Act, 1867 under the amending formula in section 44 of the Constitution Act, 1982. In other words, Parliament alone could therefore probably implement models of MMP or STV that did not in any way attempt to amalgamate seats between two or more provinces or otherwise render ambiguous which seats belonged to which province. This means that under MMP, the compensatory party-list seats would have to remain within only one province and that each of the ten provinces would remain the baseline for calculating the popular vote of the political parties. If, however, we tried to create a system in which the compensatory seats are allocated based on the party vote between two or more provinces, or Canada-wide across all ten provinces, we would then need to pass a constitutional amendment under the General Amending Formula, because taking away seats from the provinces for the sake of establishing a pool of compensatory seats would “disturb” the “principle of the proportionate representation of the provinces.” This might frustrate some proponents of proportional representation who would prefer that the compensatory seats be allocated to the political parties based on their Canada-wide popular vote in order to bypass the distorting effects of the Senate Floor Rule and the over-representation of the Maritimes, but these starry-eyed idealistic progressive reformers must respect the legal-constitutional authority of this country just as much as the retrogressive anti-democratic reactionaries like me who support single-member plurality. 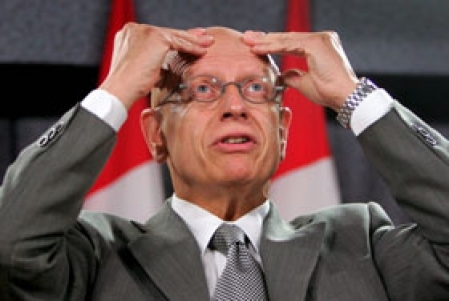 In short, Jean-Pierre Kingsley’s categorical declaration that “electoral reform is not a constitutional matter” is false, because switching to a proportional system like MMP or STV clearly would require a constitutional amendment. And the only electoral reform that could be implemented in time for the next scheduled general federal election in October 2019 is Australian-style instant run-off balloting, sometimes known as AV; quite simply, time has run out on implementing MMP or STV. In a non-coincidental coincidence, the only system that parliament could adopt in time for 2019 is the very same system that Prime Minister Trudeau himself has identified as his own personal preference. This entry was posted in Amending Formulas, Constitution (Written), Electoral Reform, Reform. Bookmark the permalink.